The Latina Book Club's goal is to promote Latino authors and literacy by reading at least one Latino book a month. Thereby broadening our minds and corazones. It's also an attempt to embrace our Hispanic heritage; make new friends; and have something to read on the subway. Join us! Read Latino! CONTACT US at latinabookclub@aol.com. NEW! 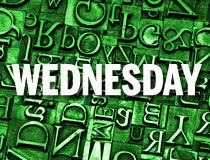 Every Wednesday The Latina Book Club will feature excerpts from exciting novels by Latino authors. Happy reading! and Happy Thanksgiving to you and yours! 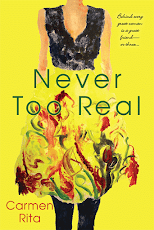 Book Summary: This novel is based on Celeste Leon’s father’s true story – he won the Puerto Rican lottery and used the winnings for the benefit of all. It’s fiction but an inspiring heroic adventure. 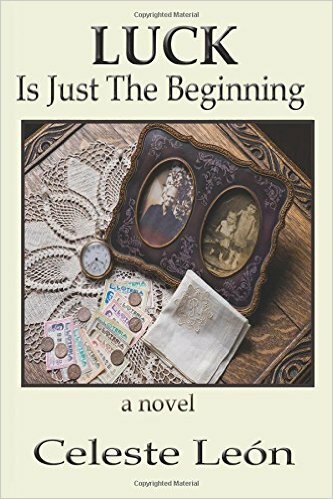 Read our review of LUCK IS JUST THE BEGINNING by clicking here. And click here for Celeste Leon’s post about her father. Ramon León had a powerful premonition. Something extraordinary was about to happen. Just that morning, he shot an unprecedented seven free throws in a row. He watched the seventh ball soar into the air and sail through the tattered net when numbers appeared, high in the sky above the palm tree that held the faded backboard nailed to its mighty trunk. A 14 trailed by three zeros pulsed red above the clouds, so vibrant that Ramón believed God Himself had painted it. His heart fluttered in his chest like a moth caught in an oil lamp. He could scarcely breathe before the vision faded away in the breeze. A trail of gooseflesh swept up his arms until his mother’s voice broke his trance, calling him to work at her tienda de ropa. Ramón tucked his basketball under his arm and hurried across the plaza, the only paved area in his village. He passed the whitewashed colonial Catholic church and the enormous ceiba trees shading park benches. This morning, Ramón was the only person in the plaza, but the benches would soon be occupied by young boys who polished shoes for a penny with their square limpias botas and old too frail to work in the sugar cane fields. Ramón stepped into the store, legs trembling—had he imagined that vision in the sky? Would everything suddenly look different? No, the shelves were lined with the same bolts and rolls of cotton, broadcloth and muslin from which his mother fashioned shirts, pants or skirts that villagers ordered when they could afford it. He placed the basketball under the counter where he tallied purchases, and washed his hands in the old ceramic basin. He began to press and straighten the rolls tight against one another when the tarnished brass doorbell jingled to announce his first customer, an elderly jíbara from the barrio. Ramón nodded to acknowledge her. He wondered: what did it mean—the number above the clouds? What other extraordinary things might happen today? When the peasant woman laid seven brown buttons on the worn counter and counted fourteen pennies, a revelation struck him like a fist: fourteen cents, seven buttons, and seven free throws. He was the seventh child to survive after his beloved mother lost her first eight babies, the lucky one, born in a caul on the seventh day of the seventh month. “I hope Caimito comes today. It’s lottery ticket day, and my husband’s been saving two dimes to play,” the woman declared. There was no reason the lottery vendor wouldn’t roll into Maunabo in his battered old truck. Hurricane season had passed, the roads were clear and the sky electric blue. The tropical breeze carried the scent of the sea. Excerpt published with permission. All rights reserved by author. 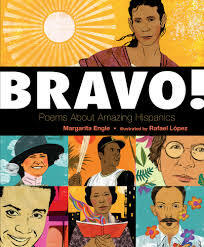 On a quest to promote Latino authors and literacy. My motto: Read Latino. 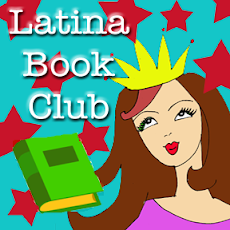 Contact us at latinabookclub@aol.com. Join us Friday, January 25, as we celebrate diversity in children's books. Join the Twitter Party too. 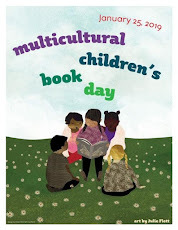 Follow #ReadYourWorld. 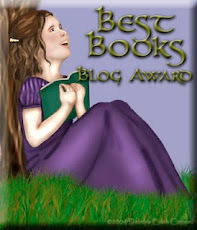 I Am A Book Reviewer! We have something for everyone -- fiction, romance, YA, children, memoirs, self-help. Click here for the book list. 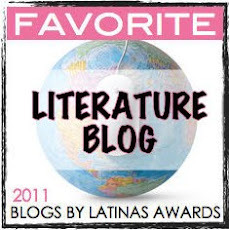 Free Promotion for Latino Writers! 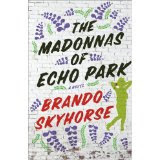 Send a short excerpt of your novel, book cover and bio to latinabookclub@aol.com. Read excerpts here! Click on links below. FTC Regulations require that book bloggers disclose how they acquire the books that they review. Note that most books that I review here on The Latina Book Club are a mix -- I have bought some myself and other books were donated by the author or an editor/publisher/other. When the latter is the case, it will be noted as such. At no time, am I obligated to post a positive review. Thank You to the Latino community for their continued support. 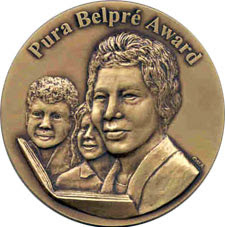 Presented to The Latina Book Club by Deirdre A. Eden of A Storybook World 2012. Congrats to all the winners and finalists! Click on image for listing. Click on image for list of winners. A Kathy Cano-Murillo Original. Feel free to add to your websites / blogs. The Latina Book Club is there! Click on picture for reviews by Cindy L. Rodriguez. It's on the shelves. Run to get your copy! LATINA BOOK CLUB IN THE NEWS! 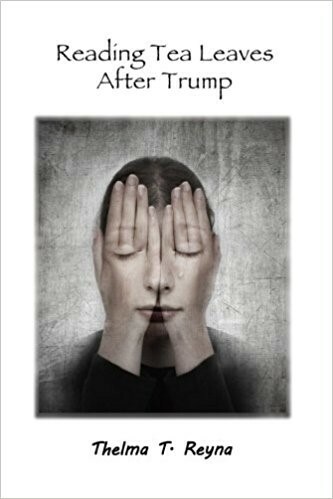 Hispanically Speaking News.Com published my book review. Check it out. 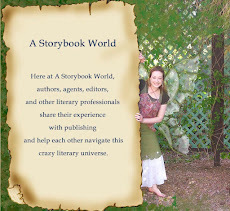 A place to chat with authors, editors, agents and other industry professionals.